Welcome prospective, new and current UPSTANDER peer ambassadors! Here is your headquarters for access to membership information, meeting minutes, recent events, training and more. READY TO BECOME A upstander pEER AMBASSADOR?  GAB’s Upstander Peer Ambassador Programs are the foundation of our organization. We work with, train and encourage schools and students to reduce episodes of bullying every day with an effective, positive, non-threatening approach. Find out more and apply now to become an Upstander Peer Ambassador School or Student. Student Upstander Peer Ambassadors are the foundation of the Generations Against Bullying, students are helping to create and maintain an environment of upstanders at many area schools. What about your school? Become a Student Upstander Peer Ambassador today. The School Upstander Peer Ambassador Program has been changing individual schools and even entire school districts for the better.  Generations Against Bullying advanced training and ongoing support will engage students in helping the community, reduce bullying and allow faculty to share with parents; “we’re taking action against bullying.” Join area schools and become an Upstander Peer Ambassador School today. Current Upstander Peer Ambassadors can link to popular resources right here! Meet your fellow Upstander Peer Ambassadors! Here’s a current directory of our Upstander Peer Ambassadors including photos, profiles and personal bios. Upstander Peer Ambassadors show their “Upstander” pride with our new GAB Gear! Shop Now. Can’t find what you’re looking for? Have more questions about our Upstander Peer Ambassador Program? Please feel free to Contact Us with any questions you may have.